Mayor Rick Graham and City Administrator Victor Lay on Thursday, Jan. 26, delivered a high-energy, information-packed 2017 Spring Hill State of the City Address, to a standing room only crowd at the Spring Hill Chamber luncheon. 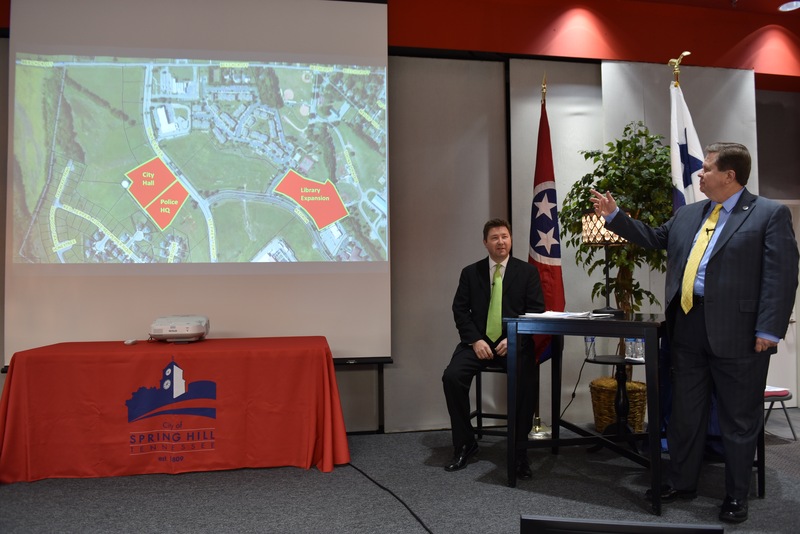 Themed, "Spring Hill Rising: The Pieces are Coming Together,"our officials recounted Spring Hill&apos;s many successes in 2016, and announced a number of new projects on the horizon this year. Those include plans to begin architectural drawings for the construction of a new library on its existing site and for a new police headquarters next to City Hall; and construction will begin this year on the expansion of City Hall. The launch of our newly redesigned city website also was announced today! We hope you&apos;ll check out the Facebook Live video of the State of the City on our City of Spring Hill Facebook page, https://www.facebook.com/cityofspringhill/, and give us your feedback on the new website.